The Americana Leather Wrapped Journal makes for a very meaningful souvenir that can be presented to your customers at all your marketing conventions with your company logo neatly imprinted to boost your branding efforts. 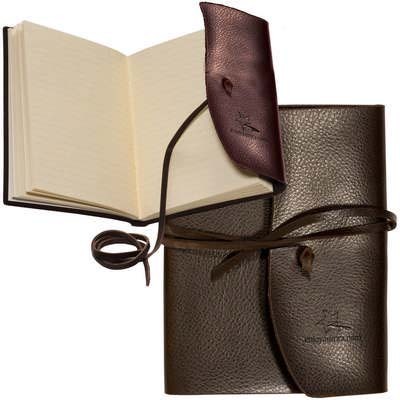 Crafted from full-grain leather, the wrapped journal book includes 70 lined journal pages with a classic leather wrap closure that lends elegance and a very professional look. 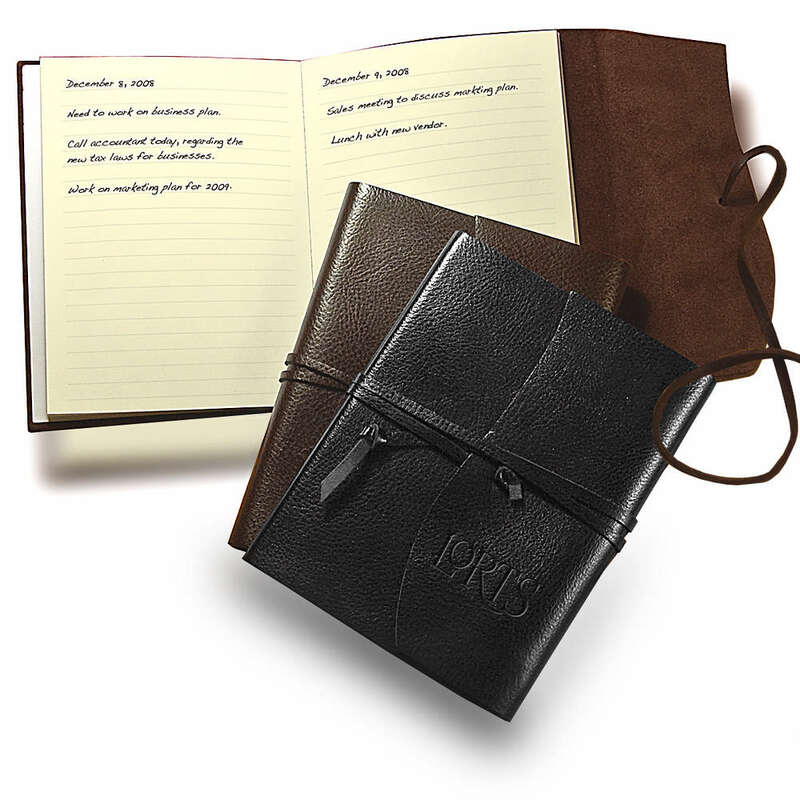 The Americana Leather Wrapped Journal makes for a very meaningful souvenir that can be presented to your customers at all your marketing conventions with your company logo neatly imprinted to boost your branding efforts. Crafted from full-grain leather, the wrapped journal book includes 70 lined journal pages with a classic leather wrap closure that lends elegance and a very professional look. 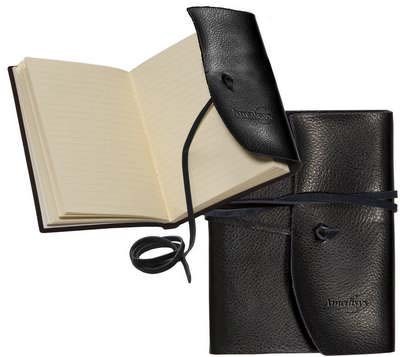 The journal is available in black and brown colours and very easy to carry. Minimum number of items in each order: 15 items. Click on the location(s) where you want your debossed logo to appear.